Detail page about the company: Offshore Boarding B.V.
Offshore Boarding B.V. is your innovative partner for quick and cost-saving lifting solutions when safety matters. Our management team consists of highly experienced specialists, with a proven track record in developing and producing innovative products for the offshore industry. The best ideas are often said to be the simplest, at Offshore Boarding we have taken a simple idea to completely reimagine the way loads are attached to a crane hook. Traditional methods require a manual connection using slings and a crane hook, with crew members standing by to connect or disconnect the load, often working at height, and particularly in the offshore environment, in unstable conditions. The risk of accidents and injury during these operations is ever present and delays in transfers have a negative impact on many types of projects. Offshore Boarding was established in 2016 to develop a number of ‘hands-free’ technical systems, which increase the operating window, safety and efficiency of the transfer process; connecting, lifting and disengagement, without any personnel involved at the point of connection and disconnection from the crane. The solution is simple and involves the crane operator lowering a steel ball into a funnel, which activates a trapping mechanism. The cargo can then be lifted and placed in a new location upon which the crane operator can disengage the trapping mechanism. At no time during the lifting operation can the trapping mechanism open and no crew is required to make the connection or disconnection with the cargo. With the drive for ‘hands-free’ systems in the offshore working environment, Offshore Boarding has developed a system that is an innovation in safety and simplicity. With multiple applications, from container lifts to personnel and crew boat lifts. 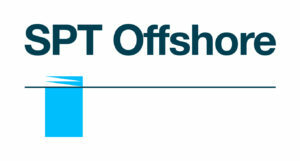 Offshore Boarding has developed a transfer process that is fully ‘hands-free’ which means safer, faster and more cost effective handling of offshore transfers. 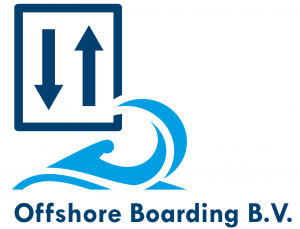 Offshore Boarding has developed a transfer process that is fully ‘hands-free’ which means safer, faster and more cost effective handling of offshore transfers.